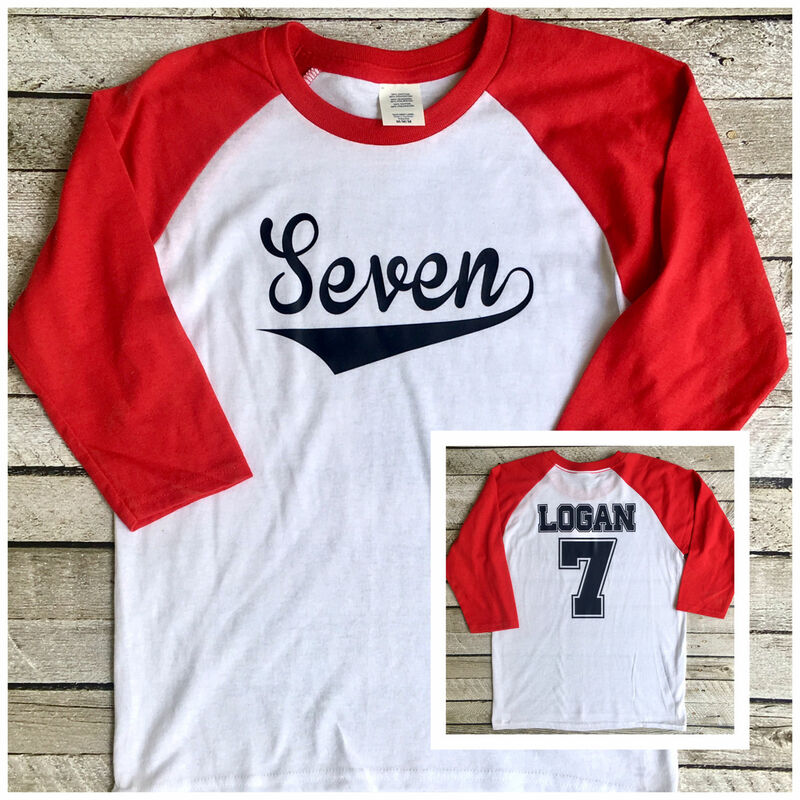 Our Boys Birthday Raglan T Shirts are perfect for your little guys baseball themed birthday party! 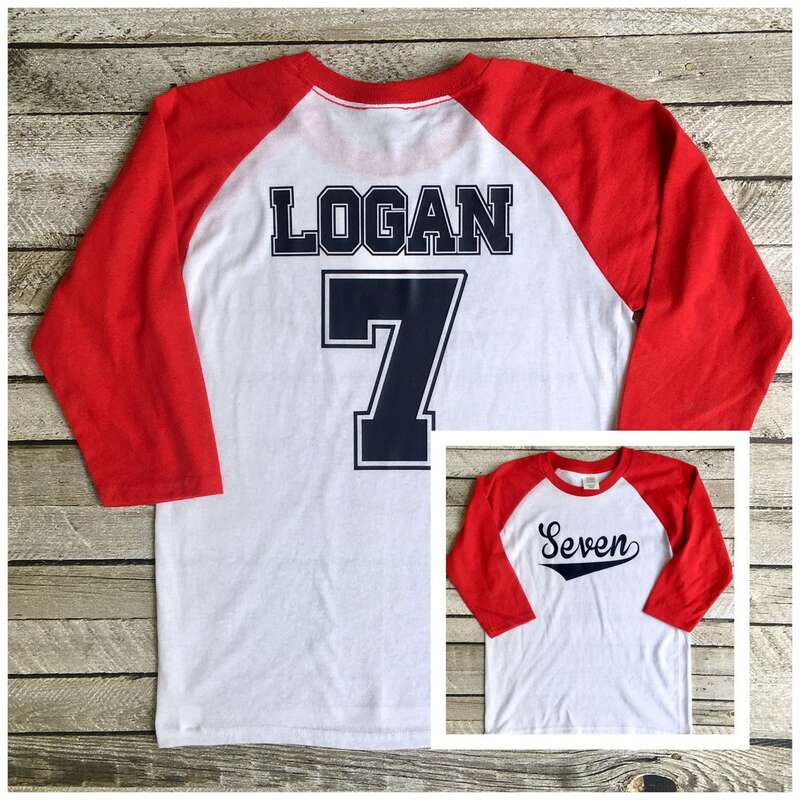 This unisex fit raglan shirt is perfect for both boys and girls - you choose the color for your raglan and wording! Need birthday party shirts for the whole family? We make these in both youth and adult sizes, and offer group order discounts as well. 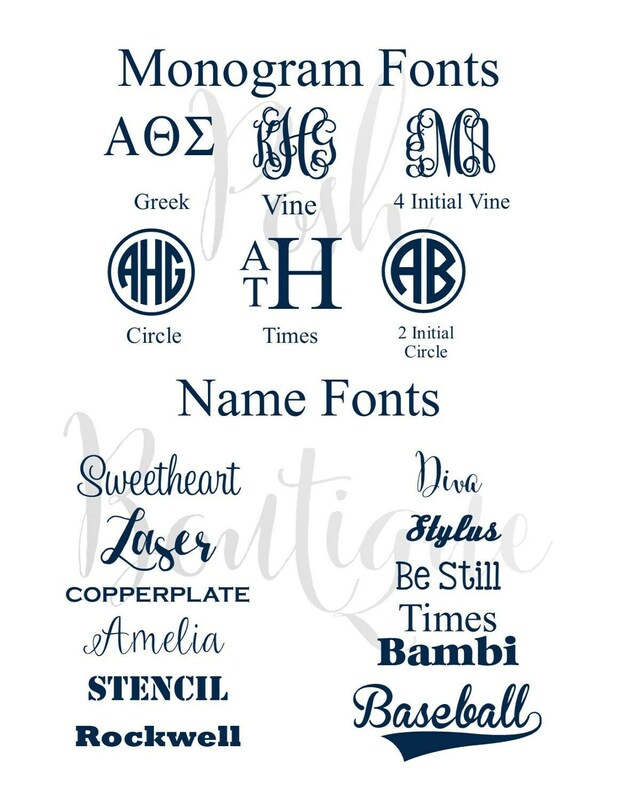 We'd love to create a custom listing for you and share our group order discount code. Just message us for details! Please select your size, age, and quantity from the drop down menus provided within this item's listing. 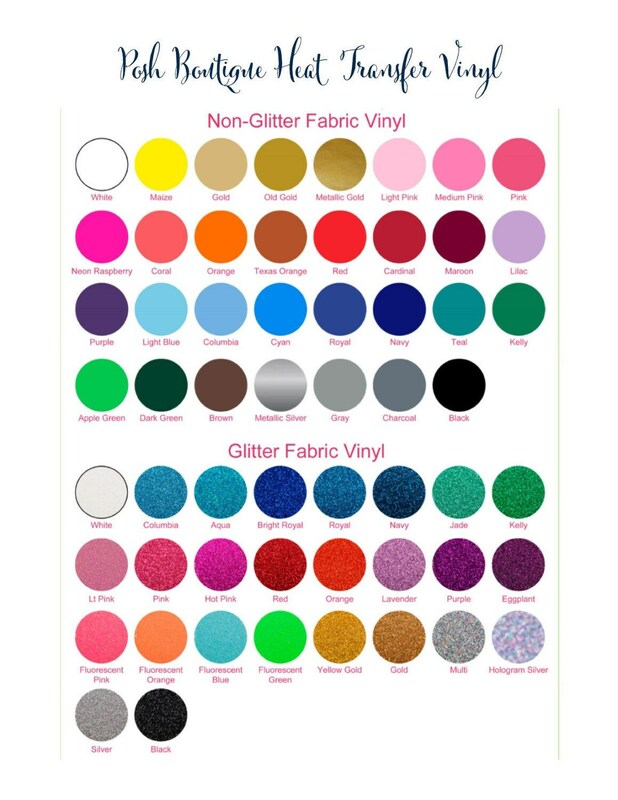 Next, please be sure to see all listing photos for colors, sizes, and heat transfer vinyl color options. 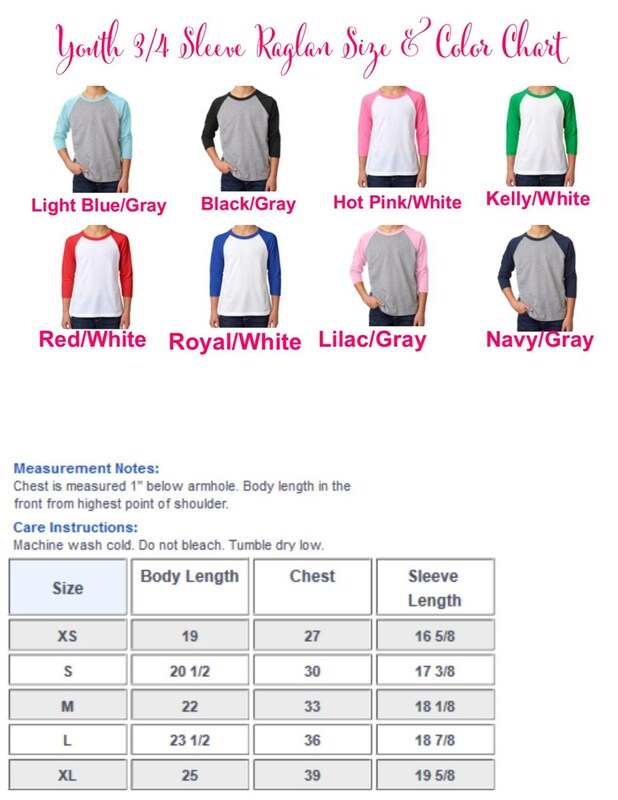 After deciding on a colors and sizes, please add the quantity per size you'd like to purchase. Next, you'll need to add to cart where you'll then need to leave a note to seller with your personalization details. If you have any questions on how to order, we're happy to help! Very cute! Kids got many compliments, worked great for our baseball themed birthday party! Item is as described. Shipping does take 3 weeks, which is included in their shipping policies so you want to be sure you give yourself enough time because the shirt is really great. My son was thrilled to wear it for his birthday party at a AAA ball game.